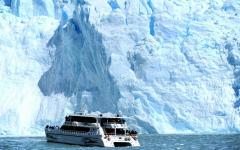 Powerful peaks and glorious glaciers create an unforgettable Patagonia tour. The morning sun reflects off of the granite faces of the incomparable Andes. Dusk falls over one of the largest ice fields in the world. You feel the Andean breeze and the taste of perfectly prepared meat. 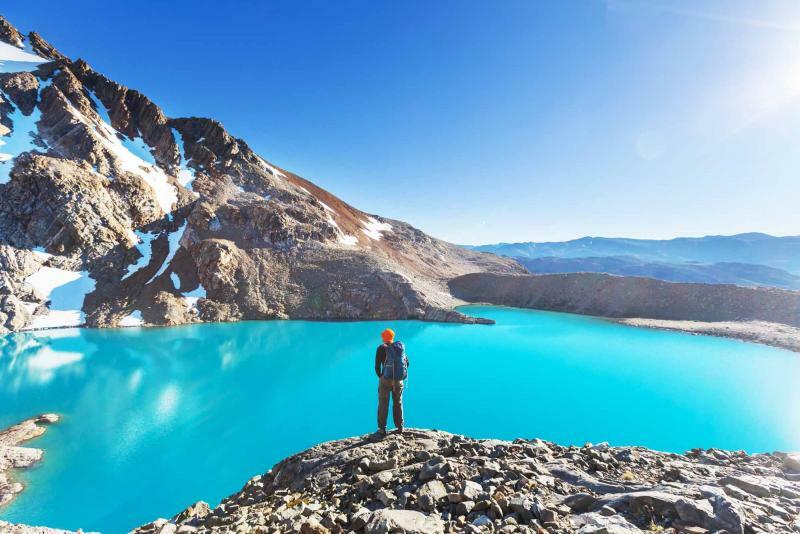 After you visit the wild beauty of Patagonia on this Fitz Roy Trekking and Perito Moreno Glacier tour, no other camping trip will ever compare. 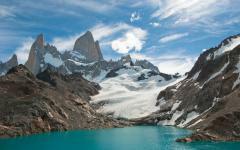 The magic of Patagonia is known around the world. From the striking peaks that crown the horizon, to the massive glaciers that dominate the landscape. The area is filled with majesty, mystery, and memorable moments at every turn. 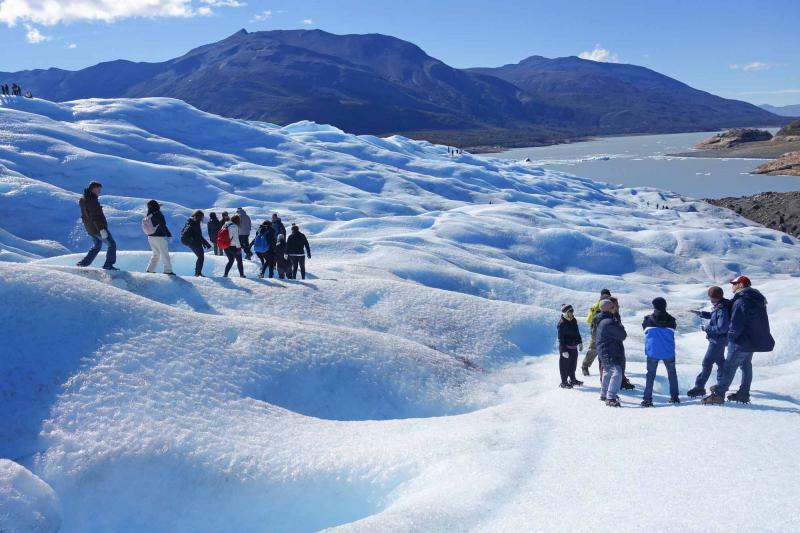 This 8-day Fitz Roy Trekking and Perito Moreno Glacier tour gives you the chance to experience this region in all of its primal glory, deep in its rugged heart and surrounded by its incomparable majesty: this is an adventure that puts Magellan to shame. Go deep in the shadows of the most impressive peaks of the Patagonian Andes, featuring the dramatic massif of Mount Fitz Roy. Camp out under the stars and within the boundaries of Los Glaciares National Park, experiencing this incredible expanse in a way that few others have. Ogle at the wonderful wildlife and spectacular scenery on your way out to the Perito Moreno Glacier, and then stand awestruck by this unique and unforgettable formation that is just a piece of one the largest ice caps on the planet. From the towering peaks of the southern Andes to the plunging depths of Lago Argentino, from the beryl blue of light of Perito Moreno to the vibrant hues of a sunset over Cerro Torre, from the crisp mountain air to the smells of wood smoke and roasting Patagonian lamb, this is a trip that will awaken your senses and stir your imagination, leave you feeling in tune with nature and in awe of its miraculous beauty. It is a trip that will see you reluctant to leave and longing to return, and it is sure to be a trip that you will remember for the rest of your life. Zicasso offers a variety of tours to Argentina. 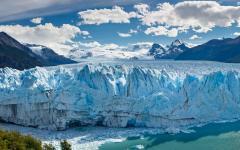 Browse the Argentina tour reviews to see what travelers had to say about their customized trips. 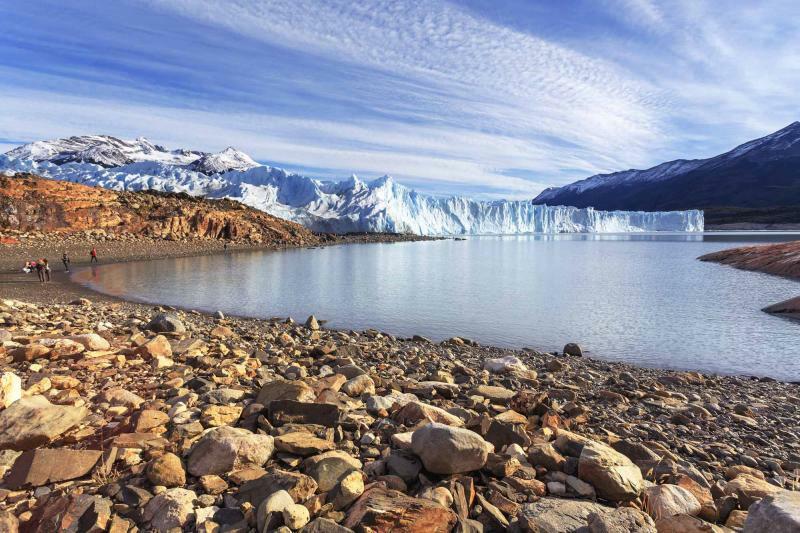 This morning, you land in the heart of southern Patagonia, the city of El Calafate, the jumping-off point to some of Argentina’s most exciting outdoor adventures. After being picked up from the hotel and dropped off at your lodgings, you can take the afternoon to walk the streets of El Calafate. The Glaciarium, a nearby museum dedicated to the history, makeup and significance of the region’s glaciers, is definitely worth a visit. The day begins with a scenic drive to El Chalten, the trekking capital of Argentina. You will stop half way for delicious Argentine pastries and hot and rich coffee, the perfect sustenance for your trek to the base of Mount Fitz Roy and Cerro Torre. You’ll rendezvous with your fellow travelers before starting out on your unforgettable adventure, ready for the most spectacular three days of your life. 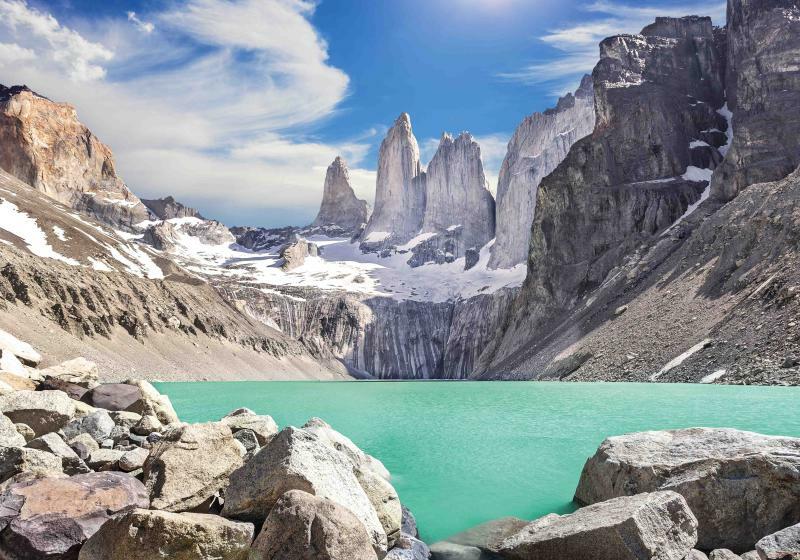 Climb a moderate slope on the Fitz Roy trail and cast your gaze over the serpentine River de las Vueltas, catching your first glimpses of the jagged grandeur of the Mount Fitz Roy massif, before setting off for Laguna Capri on a leisurely hike on a smooth and well-marked trail. You arrive at a fully pitched camp perfectly prepared for your arrival. The comfortable tents offer the ultimate outdoor accommodations, a roomy dining tent and a kitchen facility that will leave you wanting nothing. After dropping your packs off at the camp, set off for an afternoon sightseeing stroll around Laguna Capri, getting your first glimpse of your awe-inspiring surroundings and working up an appetite for a hearty and delicious camp dinner. 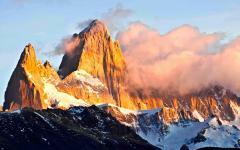 Arise early this morning to glimpse the dazzling sheen of the early-morning sun glaring and glimmering off the marble pink face of Fitz Roy—and a warm and welcome cup of coffee—before setting out to discover the majestic marvels of the country surrounding this fascinating peak. 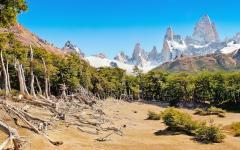 Climb the Fitz Roy Trail to the base camp at Rio Blanco before starting on a rigorous hour-long hike whose conclusion features an astounding vista over the surrounding countryside. 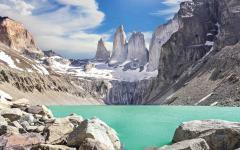 You will ogle at the brilliant turquoise waters of the lake before casting your eyes skyward to the iconic and unforgettable ridges of the Fitz Roy formation. Deep in this mountainous landscape, you’ll feel as if you are truly looking into the ceiling of the Earth, an incredible scene of delicate light shining off vibrant granite peaks with an explosion of color that shifts with the setting sun. You return in the late afternoon, and will catch a glimpse of the valley awash with the hues of the dying of day. 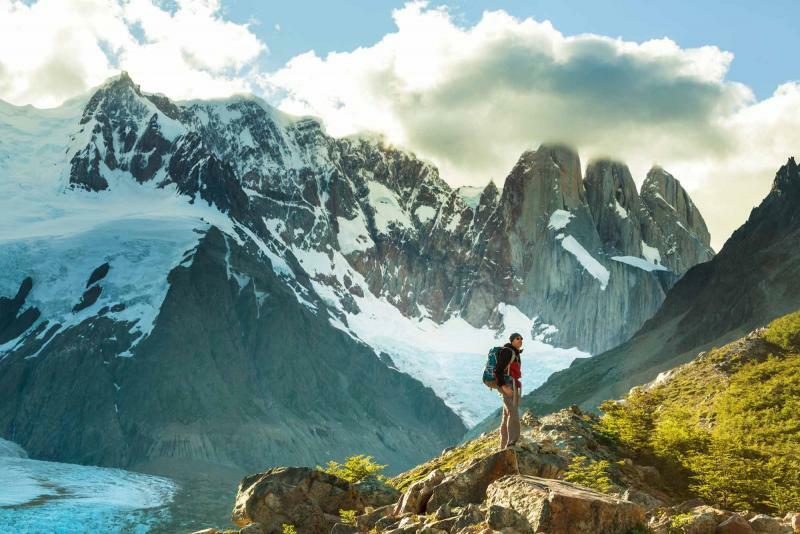 Begin today with a walk along the shores of Laguna Capri before following the meandering path of the Fitz Roy River to the full camp at the base of Cerro Torre. Take in the incredible scenery that surrounds you, from the azure waters of the river to the perfect foreground of the horizon beyond. After a quick hike from camp, you’ll find yourself alongside Laguna Torre, where the vast glaciers continue to carve and shape the landscape, from the driven plains to the moraines of soil and rocks that these impressive features left in their wake. 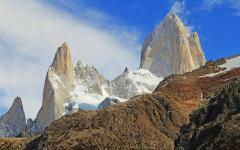 Climbing before you, in all of its splendor, is Cerro Torre. 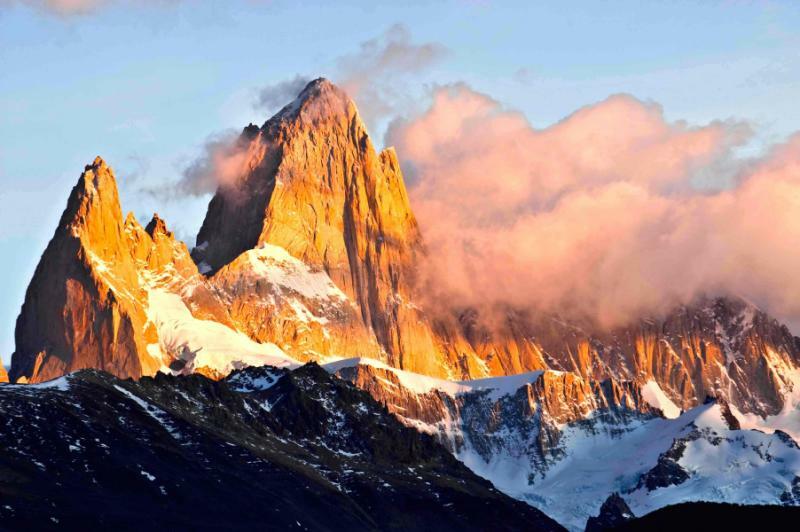 Cerro Torre is the tallest peak in a four mountain chain that rise from the Earth like the incisors of some mighty and malevolent god, rending the horizon in spectacular fashion and daring the bravest of mountaineers to attempt to reach its summit. After gazing upon this elegant massif, you’ll retire to your lodgings at the full camp in view of this mighty mountain. 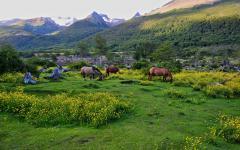 Your final day of exploring the incredible mountain ranges of the area begins at Laguna Torre. You will visit the base camp of Cesare Maestri, the controversial mountaineer who claimed to make the first ascent of Cerro Torre in 1959 and whose route laid down in 1970 has come to been known – somewhat derisively – as the Compressor Route. The campsite features beautiful vistas and the jumping off point for an optional adventure for advanced mountain-goers, the “Holiday on Ice.” This unforgettable excursion features full mountaineering gear, from safety harnesses to ice-clinging crampons, and climbing that will give you an intimate look at the scenic country of Patagonia. Cross Fitz Roy River and trek across Glacier Grande, complete with tours of ice caves and plunging crevices, a full exploration of the glacier’s immense and gorgeous expanse, and even an ice-climbing lesson from experienced mountain guides. The afternoon is dedicated to returning to Chalten along the scenic and picturesque Fitz Roy River Valley, where you’ll relish in the comforts of this quaint and charming town. 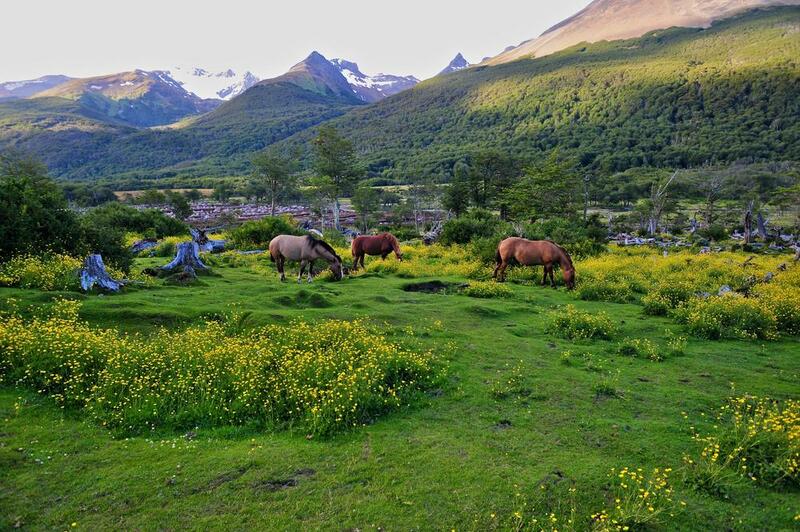 This morning gives you a chance to rest your limbs and take in some of the charms of El Chalten and the surrounding countryside. Some might choose to make their way to the isolated, yet verdant, Lago del Desierto, offering an incredible contrast to the stark setting of the spiraling peaks beyond. Those who are looking for a short respite from exploring might do well to visit the nearby KouSeki Mountain Spa, where a panoply of soothing and therapeutic services is offered, along with an invigorating herbal sauna and luxurious steaming compresses. 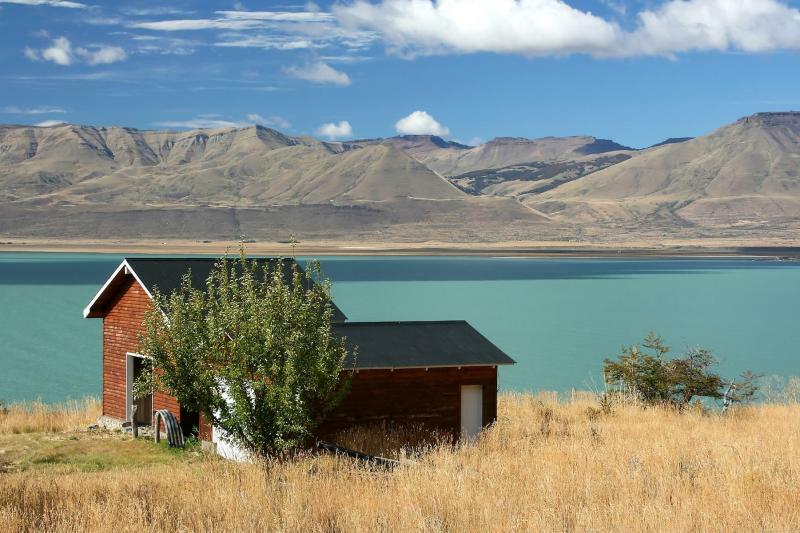 The late afternoon sees you driving back to El Calafate, where your comfortable accommodations will be sure to provide the rest you need to take on the rest of your adventurous vacation. 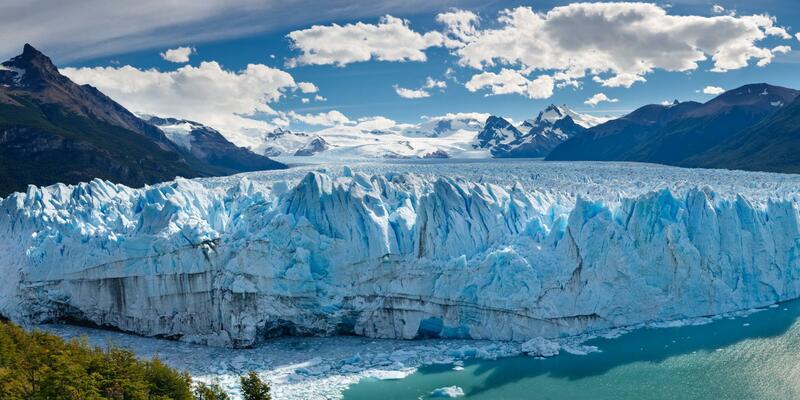 Today is committed to discovering one of the most incredible geological structures on Earth, the immense and immaculate Perito Moreno Glacier, a vibrant and vital part of the Southern Patagonian Ice Fields and one of the most unique examples of its type in the world. Stretching across an expanse nearly 100 square miles, it’s one of only three glaciers in Patagonia that is still growing, and its peculiar positioning makes it particularly susceptible to dramatic and captivating instances of rupturing. The trails along the glacier are well-marked and well-maintained, and they afford visitors visions of the glacier from mere meters away, often close enough to hear the gentle sighing and sharp cracking as this colossal sheet of ice interacts with the world surrounding it. 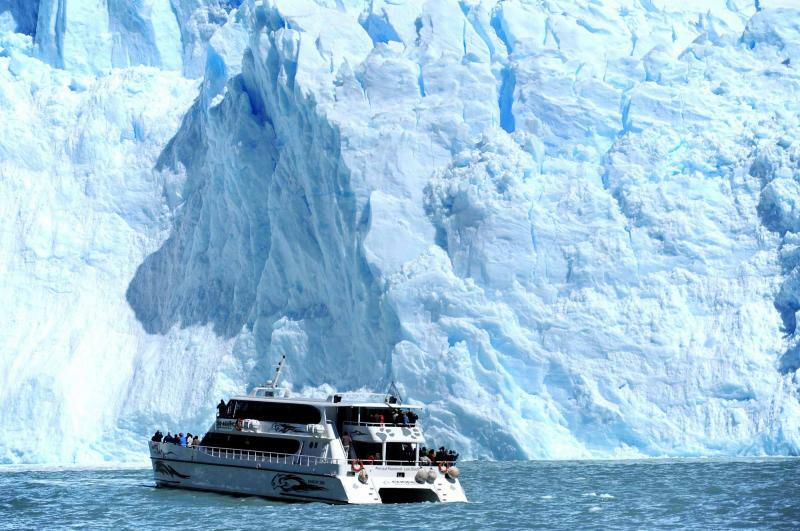 Gorgeous aquamarine waters and otherworldly glacier caves complete the awesome spectacle, resulting in an excursion that is truly unlike anything you have ever done before. The voyage back to El Calafate is also sublime. Today you leave the unbelievable world of Patagonia to return home. You are filled with memories you’ll never forget and stories you’ll never tire of telling. You will never forget the sights and sounds and incomparable experiences of an excursion to one of the most gorgeous corners of the world. 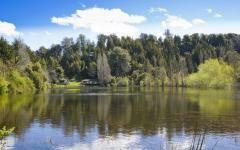 You will fly home dreaming of Argentina tours and planning your next trip! "We travel extensively and this travel agency was perhaps the BEST we have ever experienced." "...Analia, the owner, was very informative, pleasant, and patient."